A “Red State” for sure, but also graded “F” as the most corrupt! Our state legislature don't need no phreakin' constitution to know right from wrong. And Carolinians trust them to conduct honest elections without paper ballots! May 23, 2014, 7:17 a.m.
NO MONEY FOR A PAY HIKE? NO PROBLEM. Yet the state Senate last week skipped over Article 10, Section 7 (a) of the constitution when it approved, by a 25-20 vote, to allow all 170 lawmakers to claim an additional $12,000 yearly in “in-district” payments, which are considered taxable income. 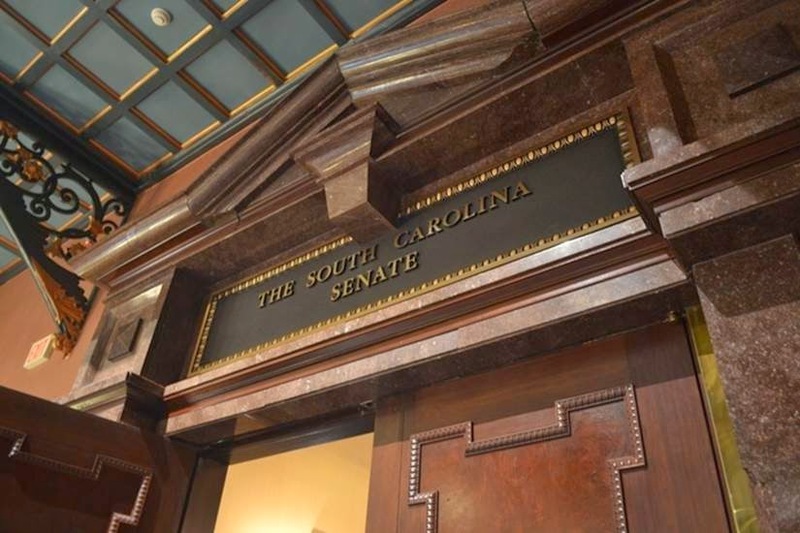 The 100 percent increase in those payments, if it stands when the final budget is enacted, would cost S.C. taxpayers more than $2 million annually if all 170 members accepted it. But The Nerve’s review of the Senate’s version of the fiscal 2015 state budget found no line item for the pay raise. In a written response Thursday, Budget and Control Board spokeswoman Rebecca Griggs confirmed The Nerve's review. "No additional funding was provided to either body for this purpose; therefore, you will not find a line item in either the Summary Control Document (a budget document produced by the Office of State Budget) or the budget," she said. Griggs did not respond by publication of this story to follow-up questions about whether the Senate's action last week violated the state constitution. During the May 14 Senate floor debate, Sen. Tom Davis, R-Beaufort, pointed out that Article 3, Section 19 of the state Constitution provides, in part, that "no General Assembly shall have the power to increase the per diem of its own members." In a statement printed in that day's Senate Journal explaining why he voted against the proposed increase, Davis said he interpreted that section of the constitution to mean that any increase in legislative compensation couldn't take effect until after lawmakers who approved the increase "stood for re-election (and a new General Assembly has been constituted)." The Nerve revealed Monday that a little-known salary study authorized by the General Assembly two years ago recommended that lawmakers’ base salary of $10,400 be increased by $10,000 to $20,000, an increase of 96 percent to 192 percent; and that the additional pay for certain legislative leaders, including House Speaker Bobby Harrell, be raised as well. A conference committee of three senators and three House members typically works out differences between the chambers' versions of the budget for the upcoming fiscal year, which starts July 1. The Senate last week passed a total budget, which includes state, federal and “other” funds, of $23.61 billion; the House version, passed in March, is $23.59 billion, according to the General Assembly's website. Both versions don’t include a projected $1.5 billion in federal food-stamp assistance payments that are listed in this fiscal year's budget for the S.C. Department of Social Services as having been transferred to an "unbudgeted account," according to Office of State Budget records. The state Board of Economic Advisors on Wednesday revised its revenue forecast for next fiscal year, projecting an additional $86 million in revenues, according to media reports. Whether lawmakers will tap what Gov. Nikki Haley has dubbed the "money tree" to cover the proposed pay increase for lawmakers is unknown. One of the six lawmakers who likely will again be on the budget conference committee is Senate Finance Committee Chairman Hugh Leatherman, R-Florence. The Nerve reported earlier this month that Leatherman was behind the push to increase the in-district payments for lawmakers.